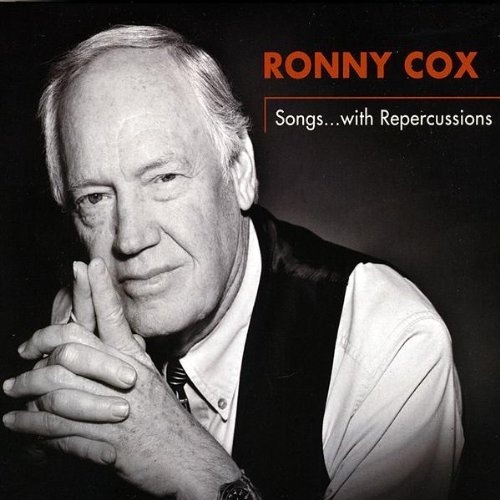 “Ronny Cox – Songs… With Repercussions” is, more than anything else, about the absence of Mary. It is also a “studio” album, with tight and precise arrangements and vocal harmonies. I found a wonderful group of players in South Carolina: Danny Harlow, Susan Taylor and Cary Taylor, and have allowed them great latitude and encouragement in our approach to the tunes. My “Southwestern” sensibilities are always present, but there is also a distinct “Southern” feel to many of the tunes and that comes directly from them. I am extremely proud of this album.